"No Wave and Sonic Youth"
A few weeks back a show by a reformed Teenage Jesus & The Jerks launched with a bang Thurston Moore and Byron Coley's new book 'No Wave:Post-Punk. Underground. New York. 1976-1980'. 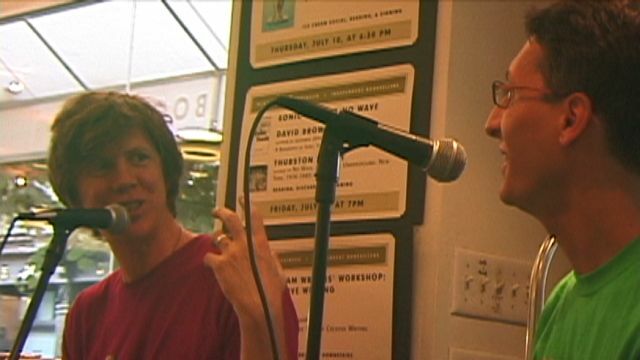 But this was a far more genteel affair at the McNally Robinson bookstore in Soho where Thurston was joined by David Browne, who himself has a new book out - a biography of Sonic Youth - 'Goodbye 20th Century', for a talk/signing session. Thurston genially fielded questions from David and the crowd on his experiences upon moving to NYC in the late 70s, his (at first reluctant) adoption of the No Wave scene, and the foundation of Sonic Youth. The whole piece runs 1hr 12mins. This is DVD#1382. 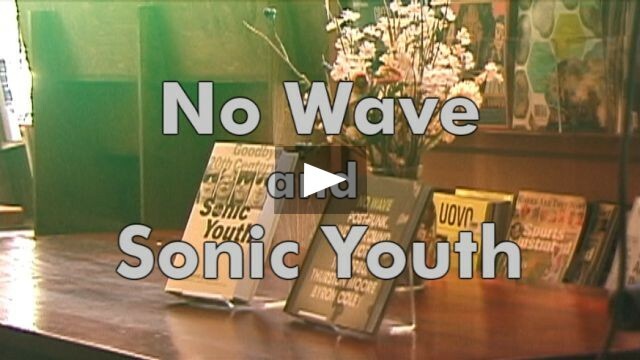 You can get the 'No Wave' book direct from Harry Abrams, and the Sonic Youth book from Da Capo. If you liked this video, you are recommended to check out PUNKCAST#932.